CrossFit Westwood Opens on S. Jennings - Near Southside, Inc. 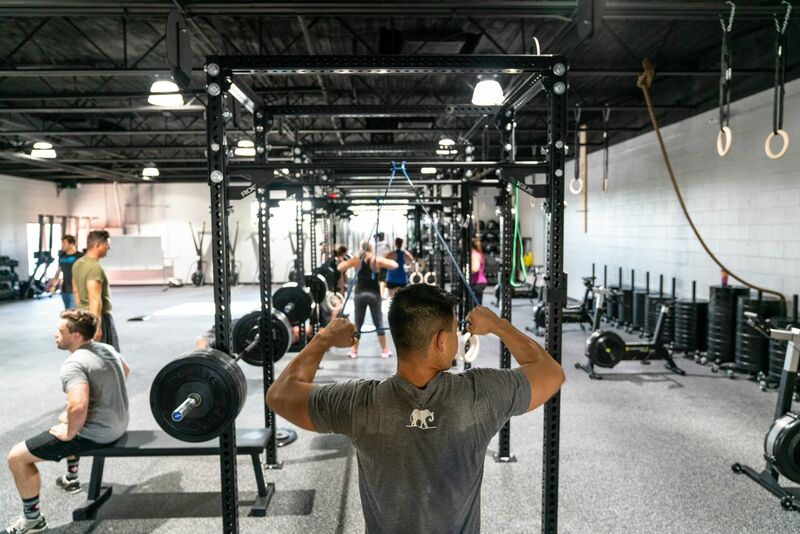 The newest place to get fit in the Near Southside opened its doors on August 1. Matt and Sara Haynes have opened CrossFit Westwood at 608 S. Jennings. The renovated space now features Regupol flooring and new Rogue equipment, bathrooms and showers, and a lounge/kitchen area featuring Craftwork coffee. In addition to group workouts, Crossfit Westwood offers personal training and beginner/fundamental programs. Their 9:30 am Monday-Friday class also includes childcare for parents getting in a workout. Learn more about their gym and membership rates.